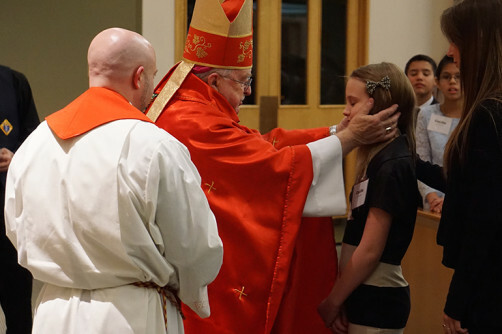 If you are an adult seeking the Sacrament of Confirmation for yourself, please refer to our RCIA process. The Catholic schools provide Religious and Family Life Education for your child and the parishes provide the Sacramental Preparation Program for your child. There will be a Parent and Candidate Session to further explain the Sacramental Preparation Program and how you can continue to support your child’s faith development. Additionally, there are sessions to prepare for Confirmation and a retreat. The sessions run for 2 hours and the retreat for 4 hours. These dates can be found in the following chart to support your family’s schedule planning. Please email sacraments@st-peters.ca if you have any questions.